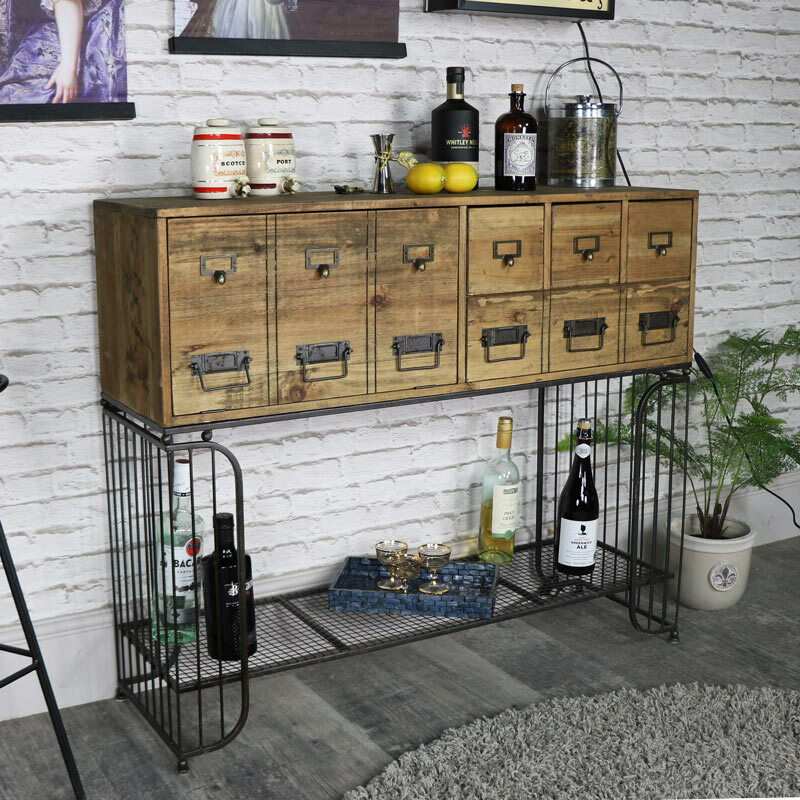 This large sideboard will definitely add some rustic, retro and urban style to your home whilst offering fantastic storage space in a fashionable design. 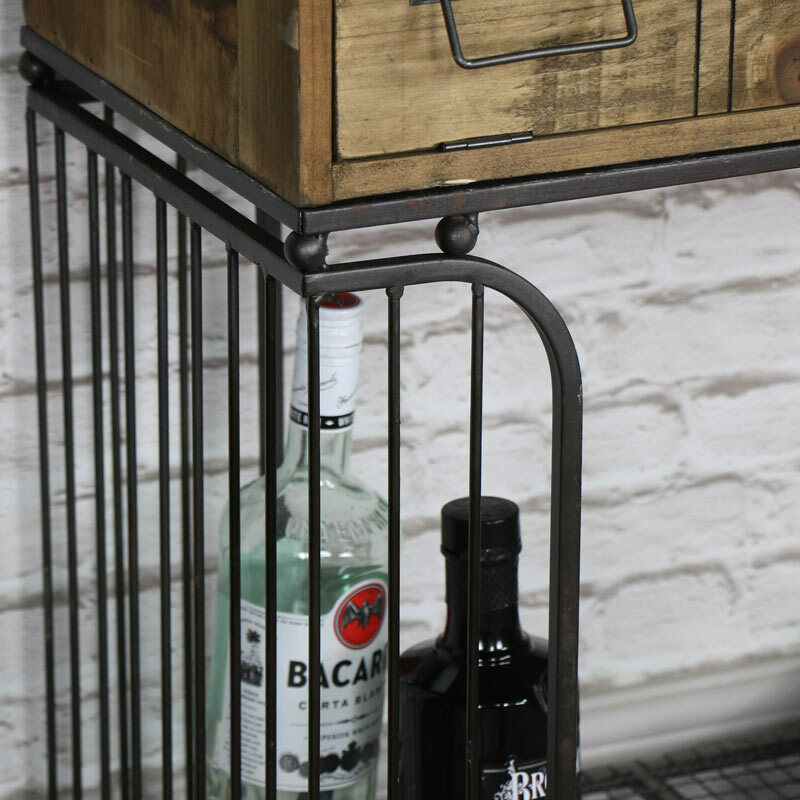 This handy unit is super stylish and space saving and would be perfect for any modern hallway or living room. 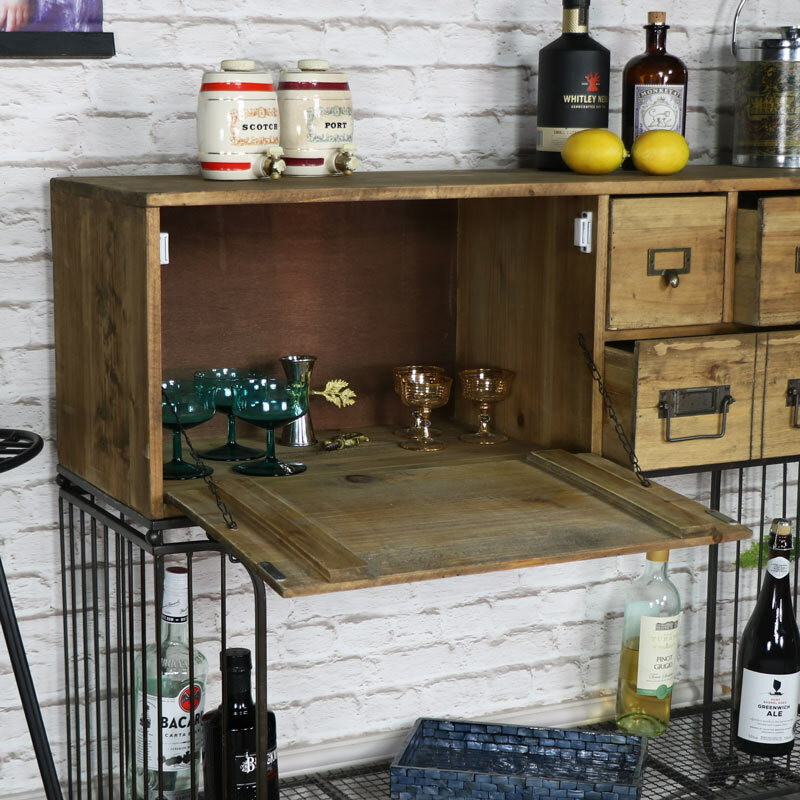 Featuring a cupboard with drop down front on the left and 3 small drawers and 1 large drawer on the bottom, finished with wire metal shelf on the bottom that offers plenty of space. 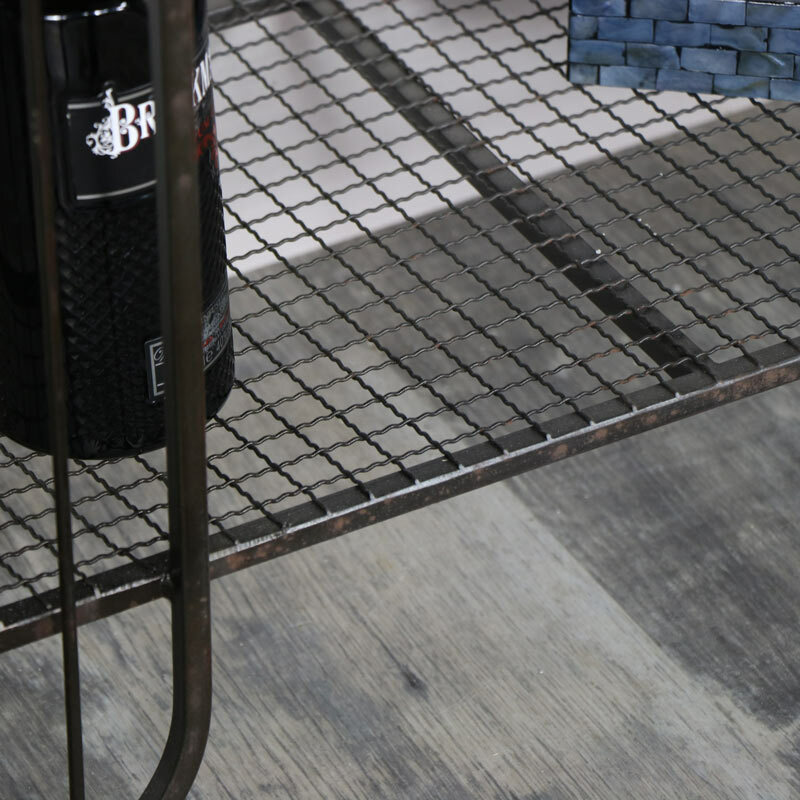 Large wood top in a natural brown wood finish with grey metal base/shelf. The drop down cupboard measures 51cm x 30cm x 31cm and 3 small drawers measuring 14cm x 12cm x 25.5cm and the bottom drawer measuring 49cm x 13cm x 25.5cm (width x height x depth). 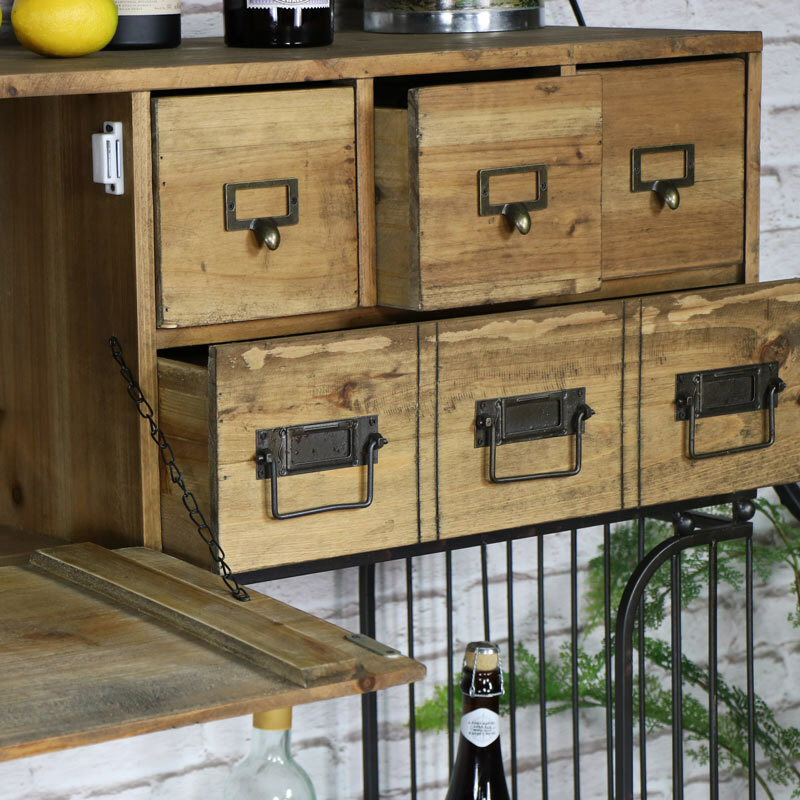 We have so many more rustic pieces which are available that would give your home a super stylish and modern feel.